Please be sure to check out the news below. The concept of open source software seems so firmly entrenched in higher education that it comes as almost a shock to realize there's actually a debate over it. But debate there was, civilized and trenchant, this week during the annual Educause conference on high technology in higher education in Orlando, Fla.
"Campus Explorer" is a new college search engine that aims to help students determine which college is the best match for them. Students enter information such as their SAT or ACT scores and grade-point average, and the site determines which schools they are eligible for. The site then matches students with specific schools on this list, based on the preferences they indicate on topics such as distance from home, academic interests, and their financial situation. Nationwide, campuses are recognizing non-traditional students this week. Dan Lavit, director of Distance Learning, said a growing number of students over the age of 50 are starting school. Right now, more than 20 percent of the student body is comprised of such students. "People return for a lot of different reasons," Lavit said. "We have a program built specifically for returning adults: Bachelor of Integrated Studies. Non-traditional students have so much to add to a classroom because they have their life and experiences to add to classroom discussion. "Billie Burton, coordinator of Adult Outreach, said according to state law, anyone over the age of 65 can take classes for free. She also said many of these students attend one of Murray State's extended campuses. "All these years, I've seen so many things to help non-traditional students like the Bachelor of Integrated Studies, like the extended campuses so they don't have to drive and we have online classes," Burton said. The University is implementing a 12x12 initiative with hopes to increase enrollment to 12,000 students by 2012. Burton said a high number of the target students are non-traditional. 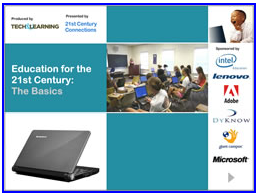 21st-century students demand 21st-century technologies for the classroom. Educators who can use camcorders and video production as part of their everyday curriculum will capture their attention in any number of ways: by engaging students in learning with positive and fresh ways to learn; Increasing student collaboration and problem solving skills; And introducing exposure to media literacy ideas. Join Tech&Learning and Sony to see and hear how teachers across the country are using video to increase visual literacy, critical thinking and problem solving. Almost ten years into the 21st century, schools try to promote new ways of teaching and learning and then evaluate how well their efforts have led to results. New insights emerge from research and observation all the time. This eBook is designed to detail some of the aspects needed for students to learn new things in new ways so they can live and work in a changing world. We hope you will find it valuable as you work towards improving education in the 21st century. 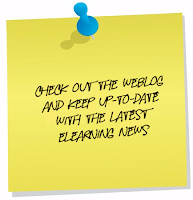 SyberWorks, Inc., a leader in custom e-Learning Solutions and the Learning Management System (LMS) industry, announces an article available in the SyberWorks Online Media Center. In many ways, good instructional design is just common sense, combined with decades of observation about what works and what doesn't when teaching adult learners. Here are 10 basic tips to sharpen your own training programs. Pena is a Senior Instructional Designer and Implementation Specialist at SyberWorks, Inc., Waltham, Mass. 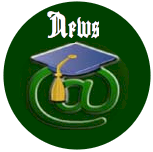 SyberWorks, Inc. is a leader in providing Learning Management Systems and custom e-Learning solutions for Fortune 1000 corporations, higher education, and other organizations. Located in Waltham, Massachusetts, the company serves the multi-billion-dollar e-Learning market. Since 1995, SyberWorks has developed and delivered unique and economical solutions for creating, managing, measuring, and improving e-Learning programs at companies and organizations in the United States, Canada, Europe, and other countries. The video was inspired by eLearn Magazine Editor-in-Chief Lisa Neal's blog post "Ten Things You Can Do in Ten Minutes To Be a More Successful e-learning Professional." and the "Web 2.0 Edition" of Lisa's list. Below is a link to this excellent new report on generational differences and their impact on learning by author Janet Clarey, I thought you may find very interesting. Don't miss it! Multi-Generational Learning in the Workplace: Overview and Instructional Design Considerations. Various names are used to describe the generation born in the 1980s and 1990s. These include Generation Y, Millennials, Nexters, the Net Generation, and the Digital Generation. This is the generation presently being groomed to replace retiring baby boomers. According to some experts, millennials tend to prefer experiential/hands-on learning, working in teams, and social networking. They are naturally collaborative and tend to be creative. Most do not think of technology as technology – it is just a part of life. 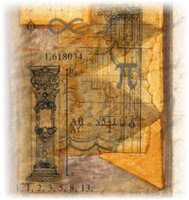 They are accustomed to online and cell phone messaging with abbreviated lingua and quick exchanges. They have been described as intuitive visual communicators with good visual-spatial skills who can shift attention rapidly to pay attention, or not, and to respond quickly. Brightstorm has launched a new online learning network to help high school students deepen their understanding of important subjects and better prepare for college through video-based courses, designed and taught by expert teachers from across the country. Brightstorm's network offers teens access to 5-hour interactive video courses, broken down into 10-20 minute lessons, in a variety of subjects, including math, writing, history and AP and SAT test prep -- with more subjects and teachers coming soon. The courses are personalized to match high school students' interests and digital consumption habits. On Brightstorm, teens are able to work at their own pace, choose the right teacher for their learning style, participate in interactive discussion groups, and benefit from bonus materials such as interactive quizzes, 'challenges' and study guides. Brightstorm is an online learning network for teens, teachers and parents. We founded the company with the belief that great learning starts with great teaching and wanted to give every student the opportunity to learn from the world's best teachers. We've assembled recognized teachers from around the country to develop video-based classes, offered in short, personalized formats that map to the way teens consume digital content. Each of our courses cover the core topics commonly taught in high school subjects across the United States and are designed to help high school students in classes where they need additional help in order reach their full potential and do better in school. Our courses complement in-school learning - helping teens fill in gaps and cement their knowledge to improve grades. For students, they're given the choice of teachers and the opportunity to learn from some of the best teachers. With an on-demand format, students can go at their own pace, choose their own order, and easily jump to any section in the video to parallel their own class to tailor to their own learning needs. Each course includes interactive quizzes, facts as well as bonus materials like practice problems and study guides that they use with the videos to gain a deeper understanding of the subject. Brightstorm gives great classroom teachers a new channel that enables them to reach and inspire millions of teens with their unique personalities, expertise and lesson plans. The net result is a powerful network where teens learn more, expert teachers are able to reach more students, and parents can play a more active role in building their kids' confidence in school. to integrate its electronic learning authoring suite, LodeStar, with the eFolioWorld electronic portfolio system. eFolioWorld is a hosted portfolio system developed jointly by ed tech provider Avenet and the Minnesota State College and Universities System. eFolioWorld is used by a number of higher education institutions and programs ad has been adopted most recently by Minnesota College of Business, Passaic Community College, Hawkeye Community College, Kankakee Community College, Case Western Reserve University Master of Public Health Program, and Southern Arkansas University Tech. 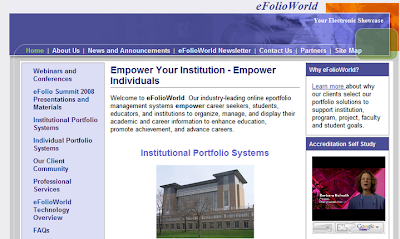 Headquartered in St. Paul, Minnesota, eFolioWorld is operated by the Academic Innovations Unit of the Office of the Chancellor of the Minnesota State Colleges and University System (MnSCU). Individuals to maintain and to publish a unique personalized portfolio creating a living showcase of their education, career, and personal achievements. Institutions to maintain and to publish their systems portfolio documenting both institutional and program accreditation criteria. Established as a Minnesota-based corporation in 2003, LodeStar Learning Inc. is the producer of the widely popular LodeStar authoring tool. 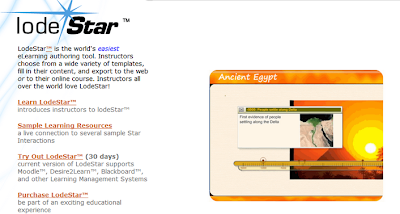 K-12 teachers and post-secondary instructors use LodeStar to create educational activities that students access from their school’s website or learning management system. LodeStar’s easy-to-use templates enable instructors to choose an instructional strategy and add their own text, graphics, audio, video, and animations. 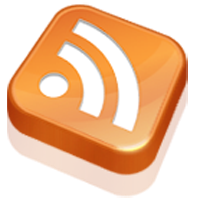 LodeStar supports the latest specifications for shareable content and intellectual property. LodeStar Learning is excited about its partnership with eFolioWorld. Its authoring tool will make it easy for administrators, instructors and students to add multimedia-rich content to their electronic portfolios. At the institutional level, administrators and teachers will use LodeStar to tell their institutional or professional story through multimedia presentations, electronic timelines, illustrated podcasts, interactive campus tours, and branching interactions. At the classroom level, students will use LodeStar to create and publish multimedia presentations and to catalogue the artifacts of their academic experiences. 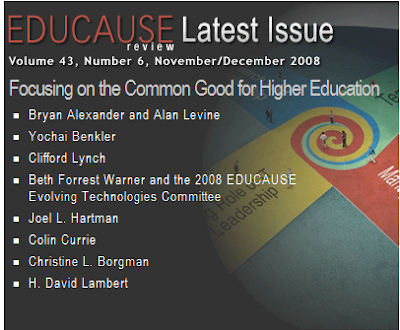 Just look at these articles in this EDUCAUSE Review, vol. 43, no. 6 (November/December 2008) below. 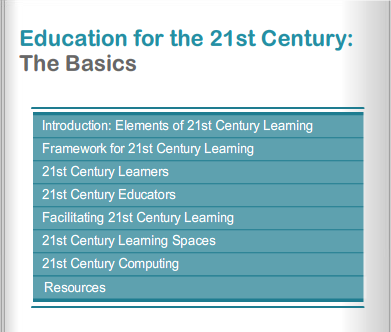 The articles in this issue of EDUCAUSE Review address the focus areas identified above. Kicking off the discussion are four op-ed pieces, one in each focus area. Joel L. Hartman, Vice Provost for Information Technologies and Resources at the University of Central Florida and recipient of the 2008 EDUCAUSE Leadership Award, discusses the need for systemic transformation to improve teaching and learning with technology (“Teaching and Learning”). Colin Currie, Director of Administrative Information Services at Princeton University, argues that the IT organization needs to take control of its own future “in the clouds” (“Managing the Enterprise”). Christine L. Borgman, Professor and Presidential Chair in Information Studies at UCLA and Chair of the National Science Foundation Task Force on Cyberlearning, explains why higher education needs to focus on the “scholarship” aspect of e-scholarship (“E-Research and E-Scholarship”). H. David Lambert, Vice President and CIO at Georgetown University, explores the emerging centrality of the CIO position in higher education (“Evolving Role of IT and Leadership”). With digital networks and social media, stories today are open-ended, branching, hyperlinked, cross-media, participatory, exploratory, and unpredictable. 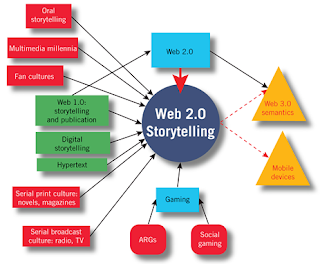 Web 2.0 storytelling picks up these new types of stories and runs with them, accelerating the pace of creation and participation while revealing new directions for narratives to flow. From a laptop computer inside a walk-in closet at his home off North Pleasantburg Drive, Elvis Alivodaj is transmitting mathematical knowledge to middle school students across South Carolina. This is one of the many unmarked outposts of the South Carolina Virtual Charter School, the largest of three online charter schools that went into operation in the state this fall. “South Carolina went from zero to 60 in a really short amount of time,” said Mickey Revenaugh, one of the editors of the study and vice president of Connections Academy, one of the new virtual schools in the state. Empowering Online Learning is an essential resource for anyone designing or facilitating online learning. 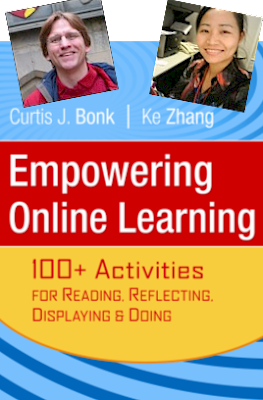 This book goes through the Read, Reflect, Display, and Do model for online teaching and learning that Dr. Ke Zhang from Wayne State University and Dr. Curt Bonk from Indiana University designed. There are 25 activities in the book for each phase. 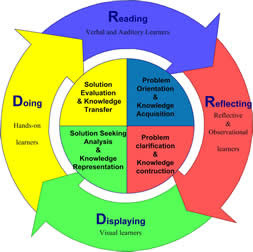 Some might see it as a learning style approach, but Ke and I view it as a problem solving model. A wheel. One goes through it in any order to learn. Some might prefer diferent parts of the wheel. With a solid theoretical foundation and concrete guidance and examples, this book can be used as a handy reference, a professional guidebook, or a course text. 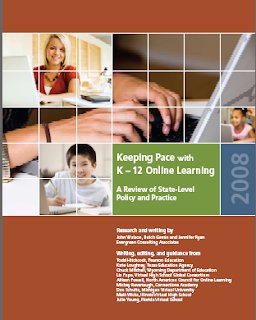 This book is intended to help online instructors and instructional designers, as well as those contemplating such positions, to design, develop, and deliver learner-centered online instruction. With a useful model, more than 100 online activities, the latest information on emerging technologies, hundreds of quickly accessible Web resources, and relevance to all types and ages of learners - "Empowering Online Learning" is a book whose time has come. Curtis J. Bonk is Professor of Instructional Systems Technology and adjunct in Informatics at Indiana University. He also spent 15 years as a professor of educational psychology. Dr. Bonk has received the CyberStar Award from the Indiana Information Technology Association, the Most Outstanding Achievement Award from the U.S. Distance Learning Association, and the Most Innovative Teaching in a Distance Education Program Award from the State of Indiana. He has over 200 publications and during the past three years he has presented nearly 300 talks related to online teaching and learning. Ke Zhang is an Assistant Professor of Instructional Technology at Wayne State University with a Ph.D. in Instructional Systems from Penn State University. She has years of success in designing, developing, and teaching online courses and programs, together with fruitful research on online learning. Drupal is one of the most popular content management systems in use today. Assuming you already know how to install and bring a standard installation online, John K. VanDyk and Matt Westgate gives you everything else you need to customize your Drupal installation however you see fit. Pro Drupal Development, Second Edition delves deep into Drupal internals, showing you how to take full advantage of its powerful architecture. Pro Drupal Development, Second Edition delves deep into Drupal internals, showing you how to take full advantage of its powerful architecture. Widely praised for its in depth coverage of Drupal internals, bestselling Pro Drupal Development has been completely updated for Drupal 6 in this latest edition, and there are even more tricks of the trade to help you further yourself as a professional Drupal developer. Find out how to create your own modules, develop your own themes, and produce your own filters. Learn the inner workings of each key part of Drupal, including user management, sessions, the node system, caching, and the various APIs available to you. Discover how to optimize your Drupal installation to perform well under high–load situations. Gain the knowledge needed to secure your Drupal installation and other best practice techniques. Learn to integrate Ajax into and internationalize your Drupal web site. John VanDyk has been a Drupal developer since 2004. 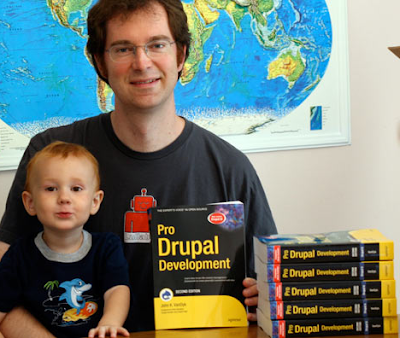 In 2005, he organized the first Drupal conference in Antwerp, Belgium, with Drupal founder Dries Buytaert. John has contributed several modules to Drupal--including the actions, workflow, publish, subscribe, and pubcookie modules--and has been instrumental in the design of Drupal's Content Construction Kit. John works for Lullabot. Formerly, he was an entomology professor and systems analyst at Iowa State University, where he taught undergraduate courses about insects. In his spare time, when not hacking on Drupal, John enjoys squash hunting and raising children. Matt Westgate is a core developer of the Drupal project and original author of the e-commerce package for Drupal. Matt also wrote the path aliasing module, along with many contributed modules such as tinymce and img_assist. He currently co-operates Lullabot, a consulting/training firm focused on making open source software easy to use and understand.